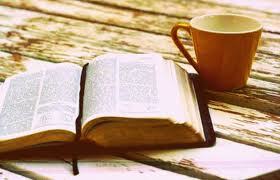 Feast on the Word of God and intentionally satisfy a soul craving spiritual sustenance. Make and keep a daily appointment with the Lord and experience the kind of fulfillment only He can provide. Pray before you begin that the eyes of your heart will be open (Ephesians 1:18) in order to achieve a fuller understanding of the Word. Incorporate the spiritual discipline of journaling into your plan and write down passages to pray through. Keep track of how God is working in your life throughout the year. Seek encouragement and share with others in your church family or life group. Fill up on the Word to quell the hunger and quench the thirst of a soul crying out for the Lord. Do you want to read the whole Bible? The average person reads 200 to 250 words per minute; there are about 775,000 words in the Bible; therefore it takes less than 10 minutes a day to read the whole Bible in a year.For those who like details, there’s a webpage devoted to how long it takes to read each book of the Bible. And if you want a simple handout that has every Bible book with a place to put a check next to every chapter, go here. Audio Bibles are usually about 75 hours long, so you can listen to it in just over 12 minutes a day.